Blindfold Driving - The Ultimate Team Communication Test! 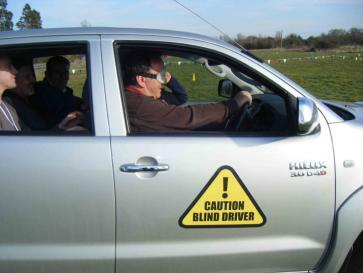 Blindfold Driving is the ultimate communication test; check out the course, plan your route, load your team in the back, put your blindfold on, and away you go! Sounds easy? Well it would be if it wasn’t that your only guidance is from your group … And they’re not allowed to say "left", "right", "faster", "slower" or give any obvious directional language! Blindfold Driving is a fantastic team building challenge, relying on trust, communication, innovation and some serious lateral thinking! It focuses on finding alternative solutions to complex problems; in a fun and engaging, yet challenging way. 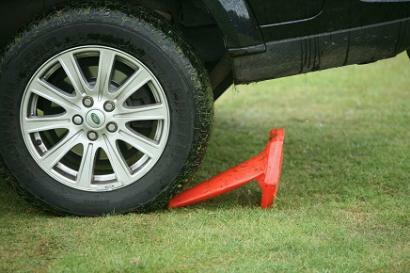 This activity is included in Spy School, and on offer in our Country Sports, Motorised and Club Adrenaline events.